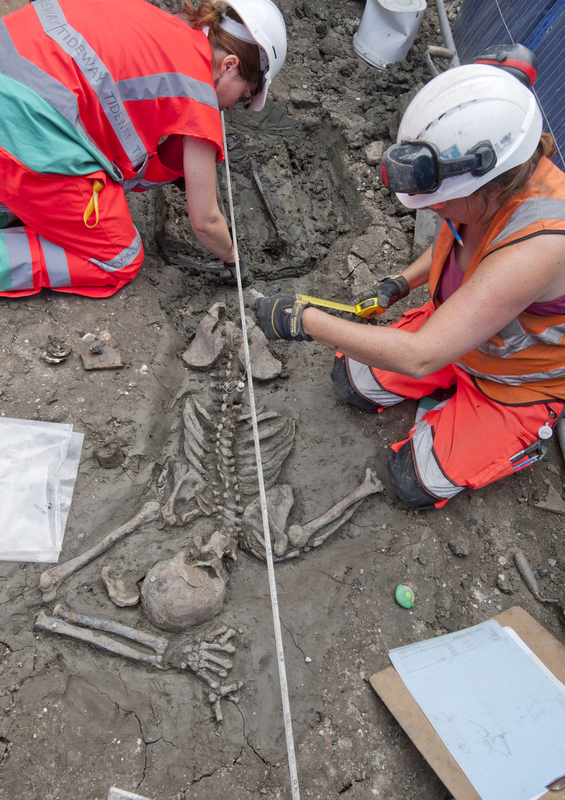 It's nothing out of the ordinary to find the remains of a 30-something man lying face down in the mud of the Thames. 20-25 suicides occur in the Thames each year, with a further 15 people drowning by accident. But these remains are something different; for one, they're medieval, thought to date back to the late 15th or early 16th century. 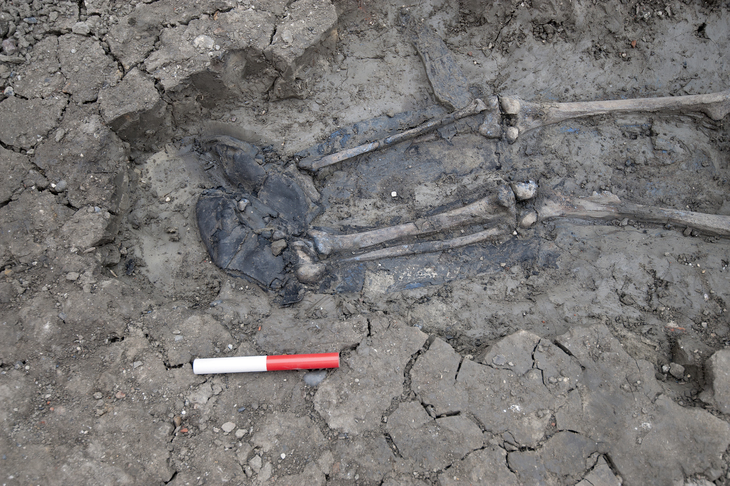 The skeleton is also still wearing a pair of leather thigh-high boots. 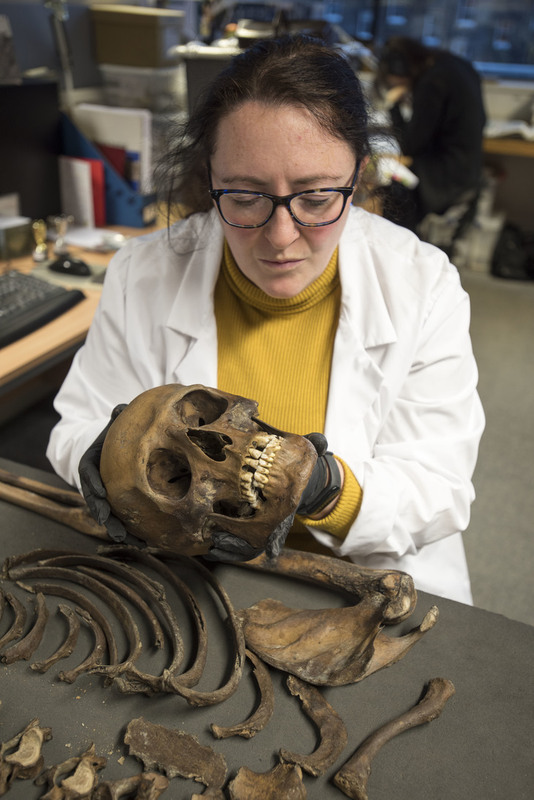 The mysterious skeleton was discovered by Museum of London Archaeology (MOLA), during excavations at Chambers Wharf in Bermondsey (just downstream of the Tower of London), where work is underway to build the Thames Tideway Tunnel. 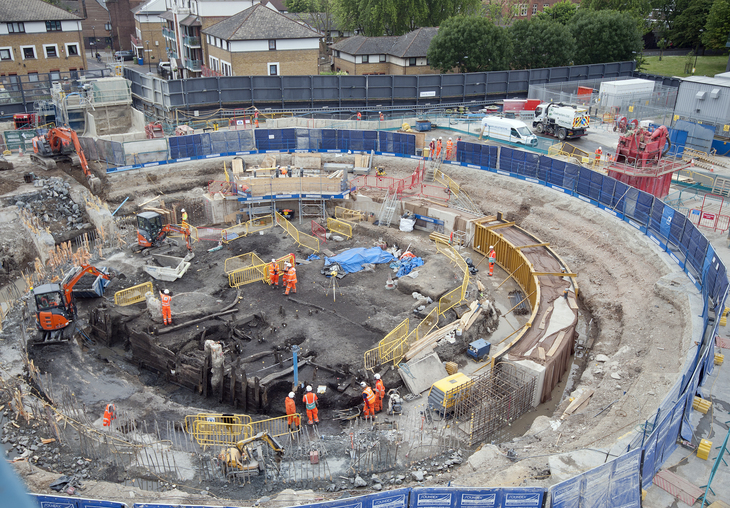 The archaeology programme has allowed us to gather really interesting new evidence for how Londoners have used the river throughout history. As we work towards our goal of cleaning up the Thames and reconnecting London with it, it’s really important to acknowledge the lessons we can learn from significant discoveries like this. So who was this unfortunate man, and how did he end up here? The good quality boots suggest he made his living from the river: perhaps a fisherman, sailor or mudlark. Deep grooves found on the teeth seem to have been caused by a repetitive action — "like passing rope between his teeth as a fisherman might". 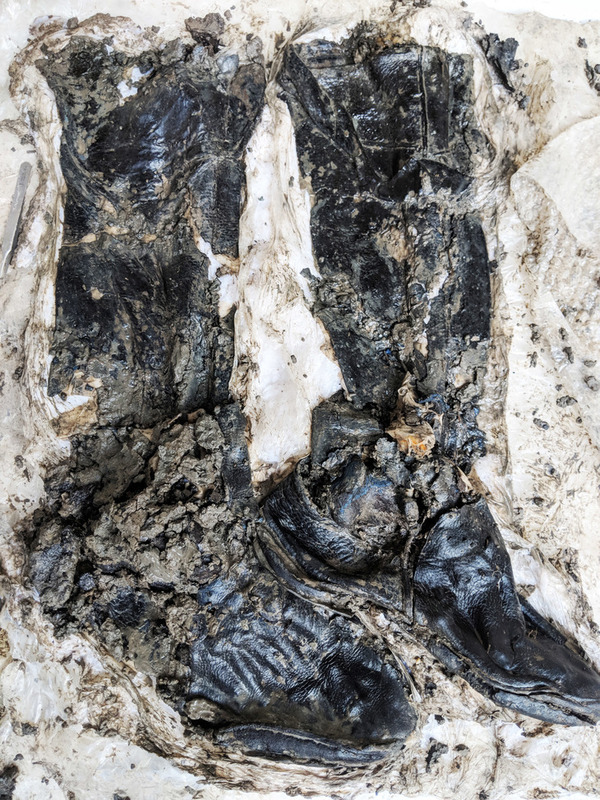 The boots would have been an expensive item, so it's very unlikely this was a burial. The man's position — face-down, with one arm above his head and the other bent back on itself to the side — adds credence to the notion this was an accident. "These clues could suggest that he fell or drowned and was covered quickly by the ground as it moved with the tide." says MOLA, "We may never know the answer to exactly how the booted man came to rest in the river, but his untimely death has offered an incredible opportunity to learn from him: to explore the relationships between the people of London in the past and the River Thames and how this dangerous and powerful natural resource was used by so many as a means of making a living."